In a story that stunned attendees at the Global Symposium on Racing and Gaming Dec. 8, Kentucky Horse Racing Commission equine medical director Mary Scollay told a story of a misunderstanding between a lab and state regulator that compromised drug testing in a state (not Kentucky). The anecdote served as a reminder of the importance to make sure contracts properly outline the work and level of work state regulators require from their contracted testing lab. It’s become a point of emphasis in the industry. 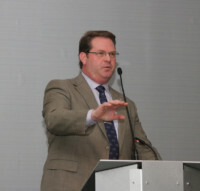 NTRA Safety and Integrity Alliance executive director Steve Koch said his group’s current code of standards requiring regulators send samples to labs accredited by the Racing Medication and Testing Consortium has been updated to call on regulators to also make sure testing contracts call for the proper level of examination. Koch said the 23 alliance racetracks, which account for 90% of graded stakes in the U.S., will be asked to work with their state regulators to make sure testing programs are at the proper standard. Those standards include reliance on LC-MS instruments in testing and ending any pooling of samples. “So the point of putting this into the code of standards is so that the racetracks start asking those questions, get engaged; and hopefully the regulators will engage back,” Koch said. “That way everybody can be very comfortable. We’re all paying into this. Ultimately it’s coming out of horse racing to pay for these things, one way or another, whether it’s directly from the track, through levies, or whatever it might be. Scollay noted that quality testing strengthens the racing product. RMTC executive director Dionne Benson noted that the group has prepared a document to help states make sure they call for a proper level of testing when they formulate contracts with labs. Benson said in the nine months the document has been in place, several states have already used it to install new agreements on testing. Benson noted the document was produced after the RMTC examined contracts provided by several states with their testing labs. That examination certainly revealed a need. 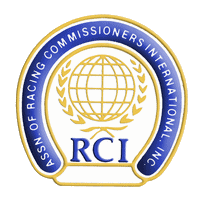 Use of accredited labs by all racing jurisdictions is one of the pillars of the National Uniform Medication Program, which aims to bring uniformity to medication rules, testing and penalties, state by state. Currently 12 of the 14 labs being used by racetracks in the U.S. are accredited by the RMTC. Koch noted that accreditation by the RMTC only means that labs are capable of doing proper testing work. But state contracts have to ensure the proper level of testing is requested of those labs. Benson said the RMTC’s 40-page document on proper request-for-proposals for drug testing agreements with labs will help states ensure their contracts call for the proper level of testing. The alliance and the RMTC want racing to move to instrument testing (LC-MS), which is capable of searching for a wide spectrum of substances, as opposed to ELISA tests, which provide more specific searches. The standards also call for a move away from pooling of samples where labs run preliminary tests on several samples at one time. If a positive is found, all of the samples are tested further but if no positive is found, all of the samples are passed. Scollay noted that when such pooling is done, concentration levels of any potential substance are reduced, making them more difficult to pick up. Benson acknowledged that some states likely will have to spend more money, although some savings could be reached by testing fewer samples. She said testing fewer samples at a higher level is preferred to testing many at a lower level. “To be frank, this will likely represent an increase in cost for some jurisdictions, especially if you intend to do the same number of samples,” Benson said. Scollay encouraged regulators and tracks to make sure their lab contract calls for the proper level of testing.